Royalty-free stock illustration of a little girl with blue eyes, blonde hair and a ponytail, yawning while either going to sleep at night or waking up in the morning. Royalty-free stock illustration of a little boy with brown hair yawning and stretching while still under covers in his bed. Royalty-free stock illustration of a sleepy little boy with brown hair, putting his glasses on as he wakes up and trying to get out of bed in the morning. 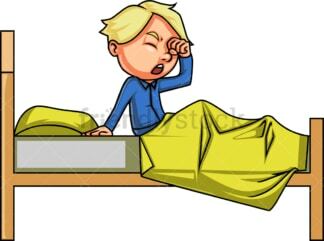 Royalty-free stock illustration of a blond little boy rubbing his eyes as he wakes up in the morning, looking sleepy. 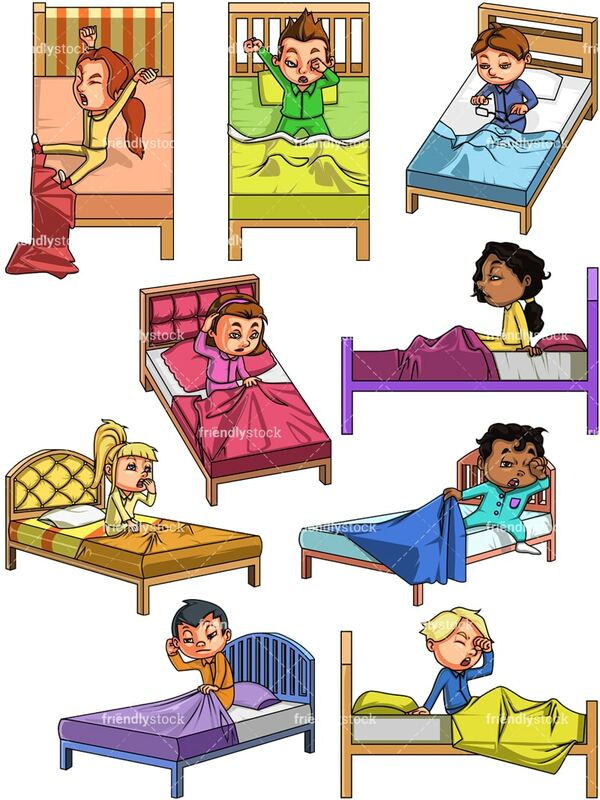 Royalty-free stock illustration of a cute little girl with brown hair and green eyes, pulling her bed covers and looking sleepy as she wakes up in the morning. Or she could be about to go to sleep at night. Royalty-free stock illustration of a little boy with dark hair, stretching as he wakes up in the morning and tries to get out of bed, pulling the covers. Royalty-free stock illustration of a little girl with red hair waking up in the morning with a big yawn. Someone had a good night sleep! 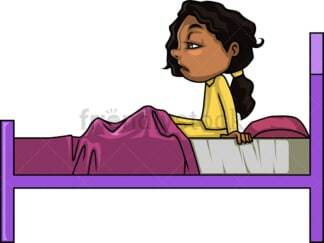 Royalty-free stock illustration of an African-American little girl with dark curly hair, brown eyes and a low ponytail, looking drowsy as she wakes up in the morning. 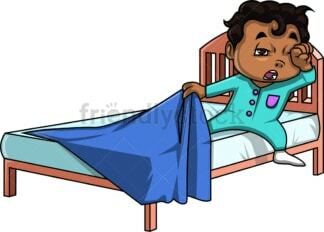 Royalty-free stock illustration of an African-American little boy with dark curly hair, pulling his bed covers and rubbing his eyes as he gets out of bed after a good night sleep.